TOKYO (AP) — Stock markets are higher in European trading as Turkey's currency crisis abated somewhat and after a downbeat day in Asia. Benchmarks in Germany and France rose Thursday while shares in Tokyo, Shanghai and Hong Kong declined. KEEPING SCORE: Germany's DAX added 0.5 percent to 12,221 and in France the CAC 40 advanced 0.6 percent to 5,338. Britain's FTSE 100 climbed 0.6 percent to 7,543. The futures contract for the Dow Jones industrial average was up 0.8 percent while the contract for the S&P 500 rose 0.5 percent. 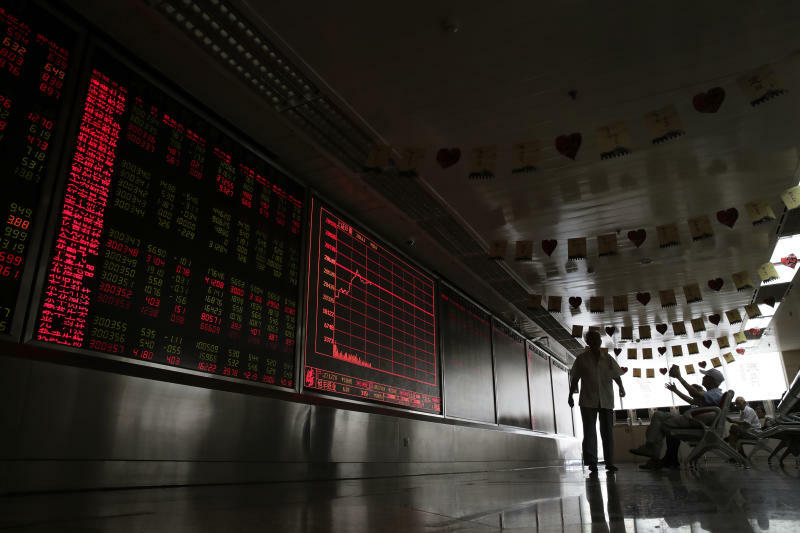 ASIA'S DAY: Japan's Nikkei 225 index fell 0.1 percent to 22,192.04 and the Hang Seng in Hong Kong lost 0.8 percent to 27,100.06. 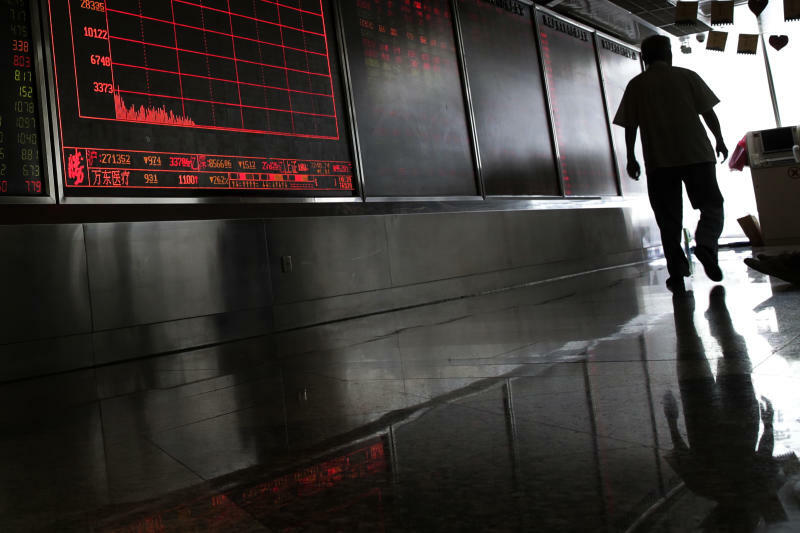 The Shanghai Composite index sank 0.7 percent to 2,705.19. South Korea's Kospi reopened from a holiday and tumbled 0.8 percent to 2,240.80. Australia's S&P ASX 200 was flat at 6,328.30. 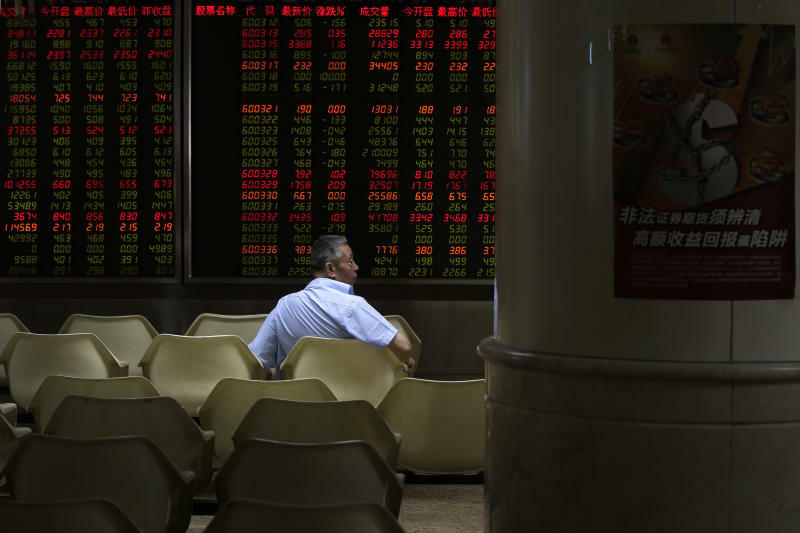 Shares fell in Taiwan and Southeast Asia. TENCENT SURPRISE: An unexpected drop in profits for Chinese tech giant Tencent rattled investors, adding to recent concerns about the health of China's economy. Tencent, a gaming and messaging company, is the most valuable technology company in China. Jefferies & Co. analyst Karen Chan said Tencent's revenue was also disappointing, mostly because of weak results from its mobile gaming business. Tencent's stock fell 3.0 percent in Hong Kong on Thursday. CHINA TRADE: In a rare sign of progress, Beijing said it was sending a trade envoy to Washington in renewed efforts to resolve the worsening tariff dispute with the Trump administration. The delegation led by a deputy commerce minister will visit in late August to discuss "issues of mutual concern," the Commerce Ministry said, giving no details of a possible agenda. The two governments are poised to impose a new round of tariff hikes on $16 billion of each other's goods next week in their worsening conflict over Beijing's technology policy. TURKEY'S TROUBLES: The Turkish lira rebounded from record losses after Qatar pledged $15 billion in investments to help Turkey's economy. The currency strengthened some 2 percent against the dollar, trading at around 5.85 per dollar, hours before Treasury and Finance Minister Berat Albayrak was scheduled to update international investors about the economy. Turkey's woes have shaken currencies of other developing economies: India's rupee was trading at new record lows of around 70.31 to the dollar. ENERGY: U.S. crude stabilized, edging down 2 cents to $64.99 per barrel in electronic trading on the New York Mercantile Exchange. Brent crude, the standard for international oil prices, picked up 10 cents to $70.86 per barrel. CURRENCIES: The dollar rose to 110.85 yen from 110.72 yen. The euro rose to $1.1378 from $1.1346.